Early this afternoon, the Washington Post reported that the Minerals Management Service had rescinded five shallow water permits through emails indicating that all drilling permits would not be approved regardless of water depth. Soon after the story broke, the Interior Department released a statement saying that the policy of allowing shallow water drilling would continue as long as oil and gas companies satisfy environmental and safety requirements. The Post has now published a recap of today’s events. The question on many minds this evening is whether the confusion is a sign of internal debate within the government regarding the possibility of halting all drilling regardless of water depth. 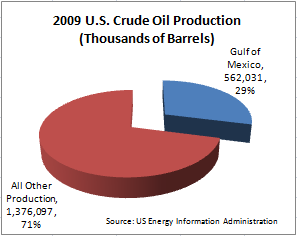 It is worth revisiting the amount of domestic crude oil production attributed to wells in the Gulf of Mexico. According to the United States Energy Information Administration, 29 percent of domestic production in 2009 came from offshore locations in the Gulf of Mexico. Total domestic production of 1.938 billion barrels in 2009 was only 28 percent of total domestic consumption of 6.82 billion barrels. Of course, the remainder must be imported. As we wrote last month prior to the announcement of the six month moratorium on deep water drilling, prudent regulatory changes are definitely needed in light of the Deepwater Horizon disaster. It is obvious that the system in place prior to the disaster did not insist on enough redundancy to successfully address low probability but catastrophic events. President Obama’s six month moratorium on deep water drilling seems like a balanced approach that would give regulators and industry time to assess the causes of the disaster and put in place improved best practices to avoid a repeat. It would not be shocking if one arm of the government was not aware of the activities of another particularly in the chaotic environment that now exists due to the ongoing disaster. Perhaps someone at MMS simply misunderstood the nature of the moratorium and rescinded the permits in error. However, it is also possible that the MMS official simply implemented a new policy prematurely before the news had been disseminated by the appropriate government officials. As of this evening, The Interior Department is denying any change in policy. President Obama will arrive in the Gulf region tomorrow and should use the opportunity to provide clarity regarding the question of shallow water exploration in Gulf waters. According to the Washington Post article, each of the 40 drilling rigs currently working in the shallow water areas of the Gulf employ about 100 people. However, the ripple effects of putting these 4,000 individuals out of work would have a greater impact throughout the area due to support and service jobs associated with the industry. Given the fact that the risk profile of shallow water drilling is in no way similar to the complexities facing wells under 5,000 feet of water, it would be senseless to put in place a moratorium not only because of the lost jobs but because the production of oil is critical for United States domestic energy consumption. It is important to note that all of the moratoriums involve new drilling and do not impact wells that are already producing. However, a steady stream of new drilling is required to keep production levels up in the coming years since existing wells will eventually be depleted. An already bad situation will become even worse if government stands in the way of exploration in shallow waters. If anything, increased shallow water production may be needed to offset the losses associated with the deepwater moratorium currently in place. Disclosure: The author owns shares of Contango Oil and Gas, an oil exploration company with operations in shallow Gulf of Mexico waters. The author owns shares of Noble Corporation, an offshore drilling contractor with operations in the Gulf of Mexico. 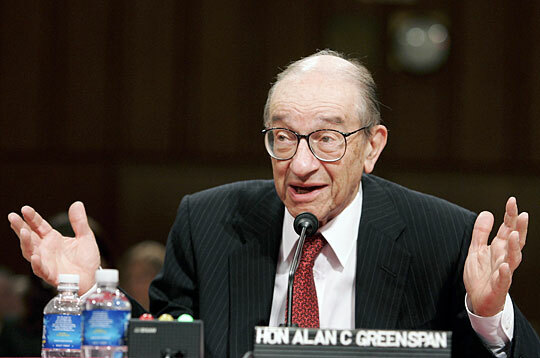 ← Was Buffett Too Easy on Moody’s in FCIC Testimony?